It’s a snip . . . for £3,200! A well-known Alvechurch resident has raised £3,200 for a children’s charity by having her long hair cut. 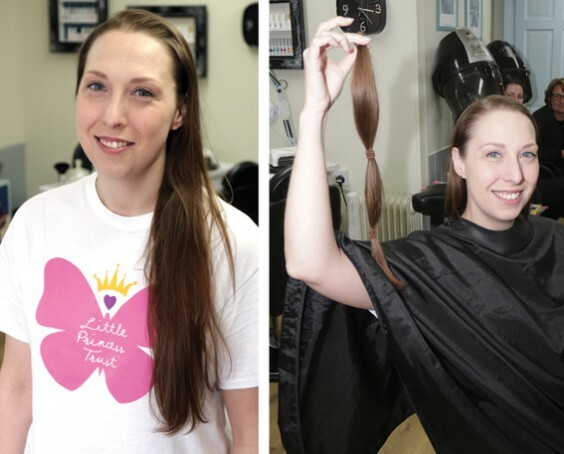 Caroline Spreckley was able to donate 16.5 inches of hair to The Little Princess Trust, which makes real hair wigs free of charge for youngsters who have lost their hair. She was inspired by young villager Esme Morgan, who donated her own hair recently. “I thought, if a six-year-old could do it, why couldn’t I?” says Caroline. “I was aiming for £500 originally, but this soon rose as people were so generous. The Little Princess Trust was set up in memory of Hannah Tarplee, a little girl from Hereford who died of cancer – her parents had found it difficult and expensive to obtain a suitable wig in a child’s size. It can take up to 10 hair donations to make one wig, which costs the charity up to £500.